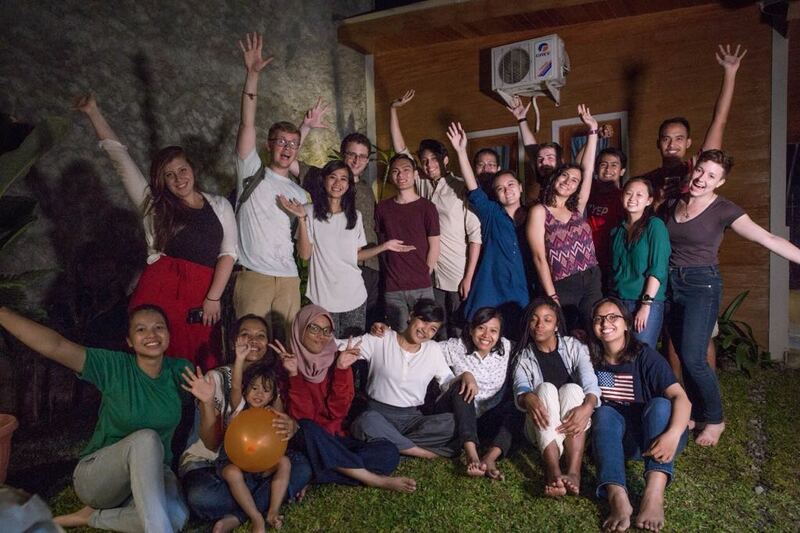 An intensive 10-week language & culture studies fellowship held in Yogyakarta, Indonesia for U.S. university students and recent graduates. 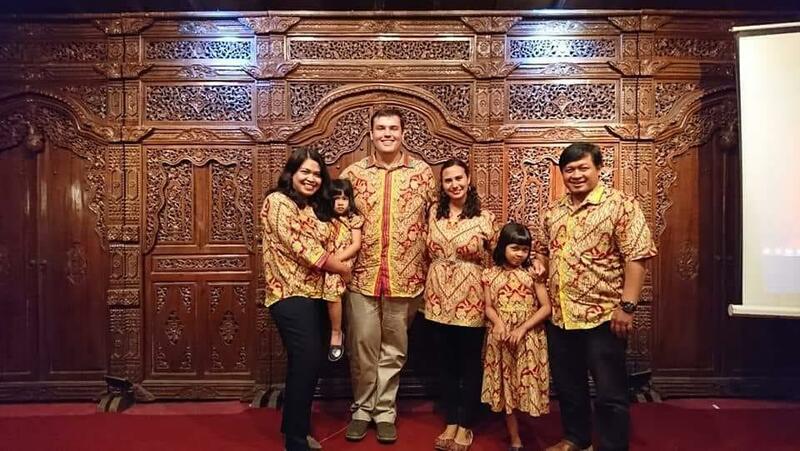 Students are able to get firsthand experience of Indonesian culture through various cultural workshops, including: gamelan (traditional musical ensemble), batik (textile dyeing technique), traditional dancing, and cooking classes focusing on Indonesian cuisine. This option is reserved for students with a specific pre-existing research topic related to Indonesia. 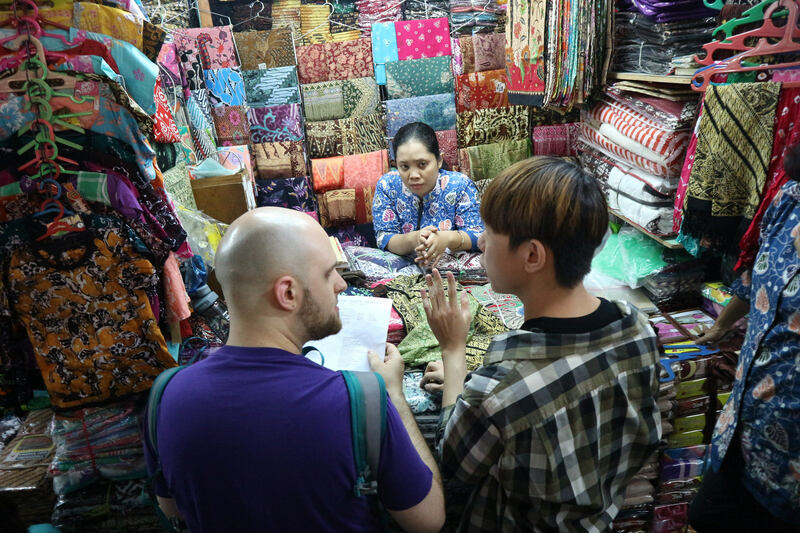 Students will be required to at least interview 10 Indonesian locals as part of their fieldwork, and submit their research findings at the end of the program. Whenever possible, students should identify their in-country Independent Study supervisors. 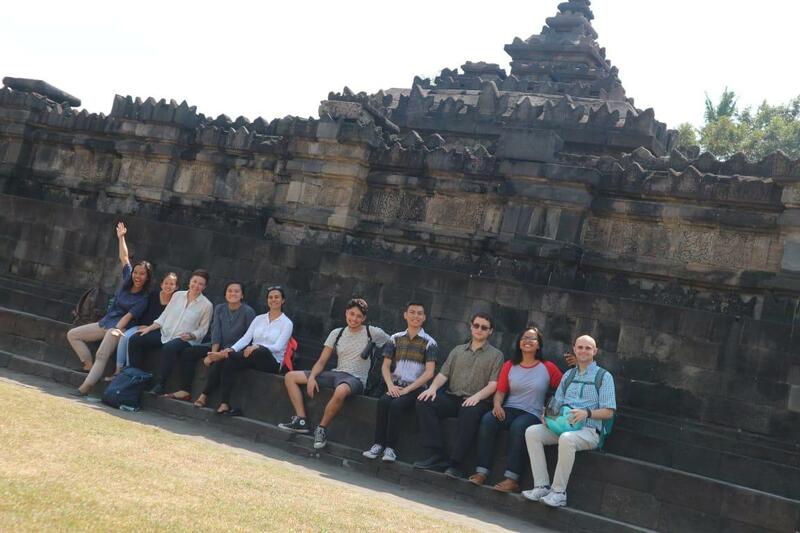 USINDO organizes a variety of field trips to renowned cultural and historical monuments/sites, as well as visits to local organizations in Yogyakarta. 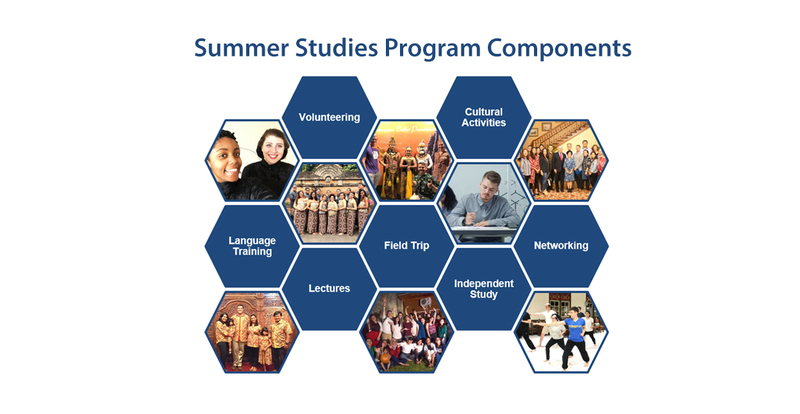 These trips are designed to allow the students to learn about and experience firsthand Yogyakarta’s unique culture, history, tradition, belief system and natural wonders. Previous field trips have included the famous Merapi Lava Tour, as well as visits to the Indmira organic farming, the historic quarter of Kotagede, Borobudur Temple, Prambanan Temple, Tugu Yogyakarta, Keraton Palace, and a variety of other famous sites in and around Yogyakarta. Upon completion of the language classes in Yogyakarta, students will participate in a post-program event in Jakarta. 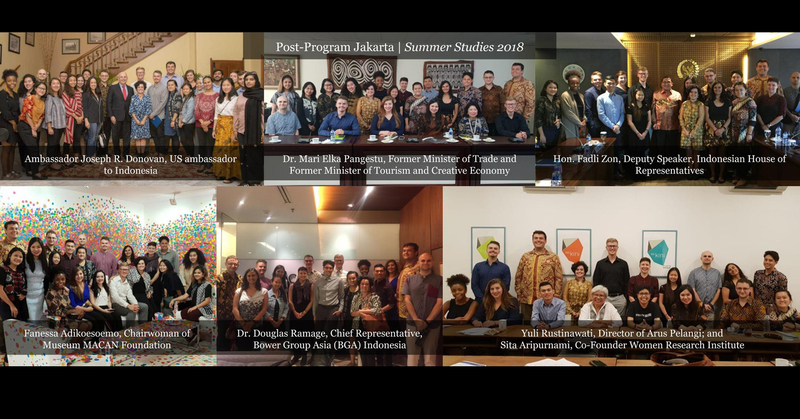 This is the culmination of the Summer Studies Program that is designed to broaden the students’ perspective, knowledge, and exposure to contemporary issues facing Indonesia, while also giving them the opportunity to network with government officials, experts, academics, NGOs and private sector. 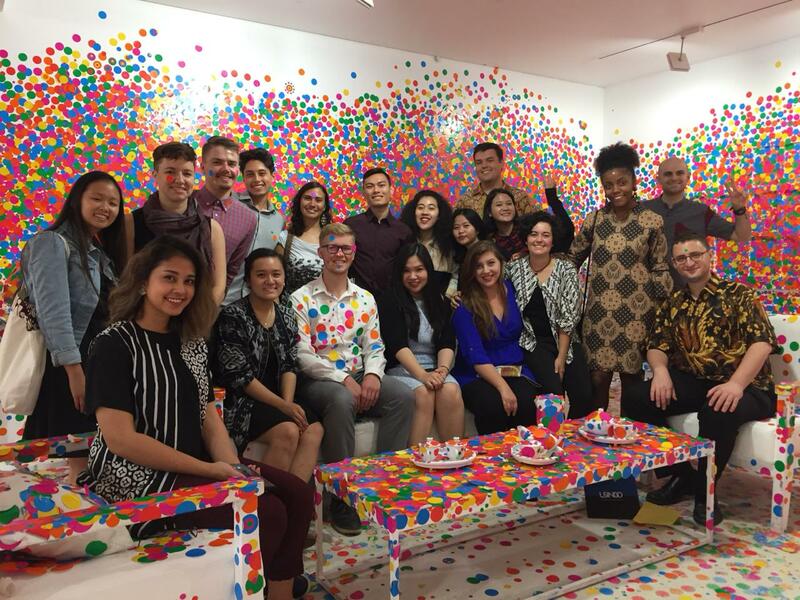 Past Summer Studies participants have had the chance to meet with distinguished figures such as Indonesia’s former Minister of Trade, U.S. Ambassador to Indonesia, Indonesia’s Deputy Speaker of the House of Representatives, the Deputy Chief of Staff to the President, as well as heads of various organizations in Indonesia. 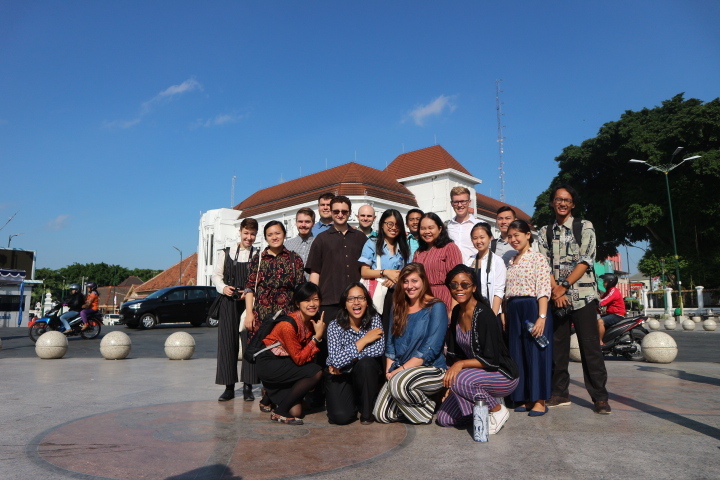 USINDO will also organize trips to renowned historical sites within the capital, such as the Istiqlal Mosque, Jakarta Cathedral, Museum of National History, the National Monument, and many more.